I’m on what the real professionals call a mission, or, failing that, duty travel. And once again I’ve bitten off more than I can chew. 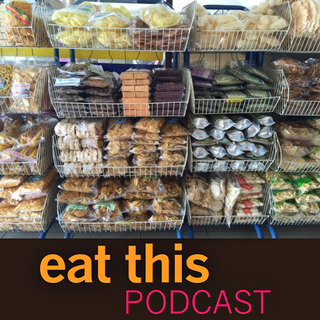 So, rather than admit defeat and just leave well enough alone, I decide to record a little reflection on the food of Indonesia, at least, the food I’ve eaten so far, halfway into the trip. I forgot to mention durian. I guess that tells you all you need to know about how little of an impression it made. Yes, it smells. Yes, the taste and texture are odd. It wasn’t that bad, but I certainly won’t be packing one in coffee grounds and triple-wrapping it to bring it back with me, as one colleague advised. WERE YOU IN THAILAND???? Wow. Can’t wait to connect in Rome and hear more.